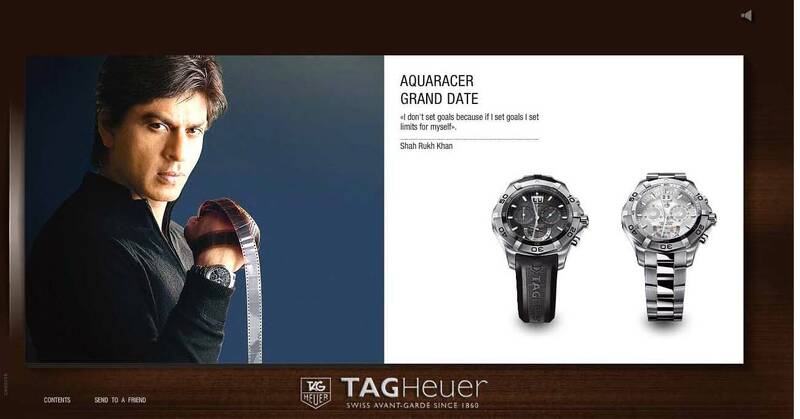 With Aishwarya Rai, doing Revlon advertisements, why not Shah Rukh Khan, doing Tag Heuer ads? I was a bit surprised to stumble upon this advertisement in a global ad by Tag Heuer. Nothing like a "rockin" Bollywood hero, clenching some 35 mm photography film, to make me want to buy a Tag. The watch is called the, "Aquaracer Grand Date". Does this mean that Shah Rukh was taking some photography on a boat and has thing for the dark room? I hope that the watch glows in the dark, so that he isn't late for his, "Grand Date". The quote is kind of cheesy as well. "I don't set goals because if I set goals I set limits for myself". That's right! Nothing like taking photography lessons to broaden your horizons, but you may ruin that film if you practice the tough guy moves on that poor film. It wasn't the film's fault that your amature photography skills were out of focus, kind of like this ad. We have nothing against Shah Rukh, but what was Tag Heuer trying to tells everyone? 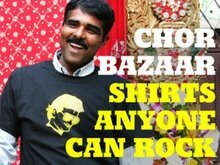 Hey Indian folks! Your Bollywood hero likes our watches and so should you. Now go buy a camera and watch and look cool.